Our goal is to provide you with the ultimate medispa experience. The moment you enter our facility you’ll feel compelled to release yourself and drain all of your negative energy away. Our philosophy is based upon the simplified motto of look.feel.be. Look your best. Feel your best. 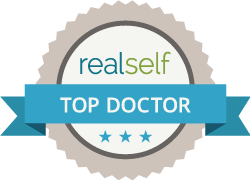 Be your best at Edgewater and Hoboken Cosmetic & Laser Centers in New Jersey. Our goal is to provide you with the ultimate medispa experience. The moment you enter our facility you’ll feel compelled to release yourself and drain all of your negative energy away. Our philosophy is based upon the simplified motto of â€“ look.feel.be. Look your best. Feel your best. Be your best at Edgewater and Hoboken Cosmetic & Laser Centers.